The ball is now officially in motion. It’s well past the point of no return. Also, fair warning: this is a really long progress update. I ended up not having to convert my card image files from JPG to PDF, and could submit them directly as JPG files, which I was really happy about. 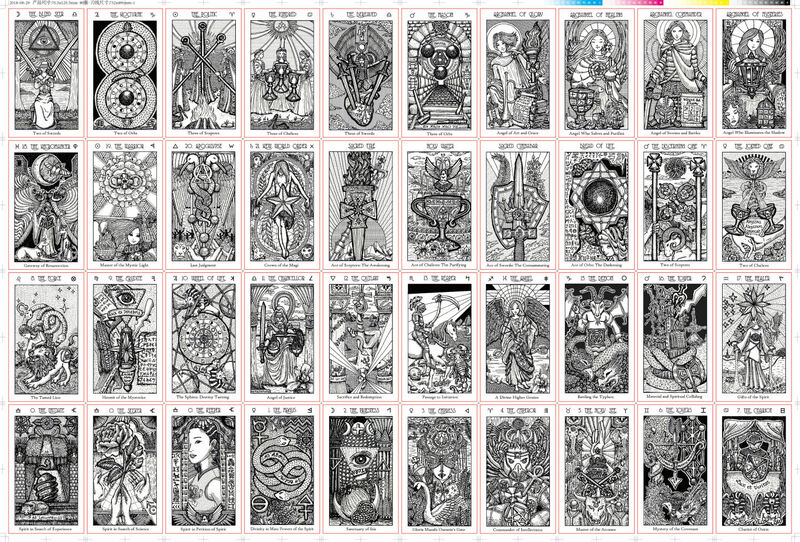 By the way, if you want to see all finalized images, I’ve shared a Gallery of All Cards here. 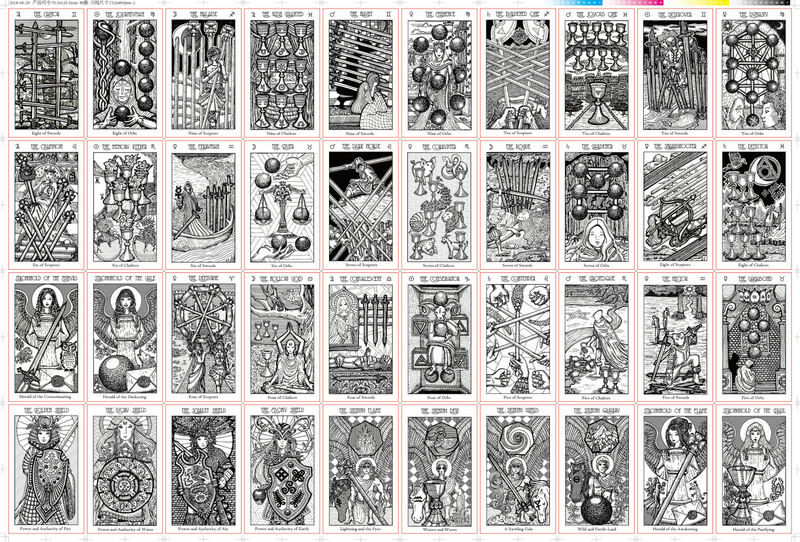 Also, aspiring tarot deck creators: from the line sheets I’m sharing, you can now see why it makes sense to design 80 cards, right? Even if you are sticking to the 78, I would still recommend creative ways to utilize the remaining 2 cards. Even if you say you’re going to print 78 cards only instead of 80, you’re getting charged for 80 anyway. Do you see my point? And check out the ordering of the cards on the line sheet. My educated guess is that the automated printing machine will be cutting the cards starting from the bottom row of the sheet, going left to right. (Not all that important to know, but for the curious nerds, something fun to observe.) You’ll see what I mean.